Successful first birthday party plans just need a some organisation. Its a fact that the more thought you put into planning the easier the day will go. 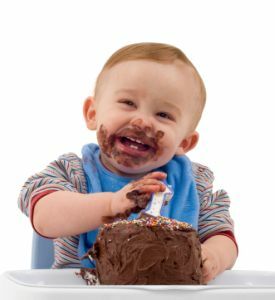 Your 1st birthday ideas don't at this stage need to include any party bags or party favours, and you're unlikely to really need any games or activities at this stage. However, first birthday party plans are really for the grown ups and to create great memories. So take a bit of effort with the look and feel of the party. Decorations, theme, cake etc and take lots of pictures. When I plan a birthday party, the first thing I start with is a list! Here's the list I use below. If you prefer you can print this out here. If you've any suggestions for things that could be added contact me and I'll add it to the list to help future readers. Choose the place, date and time the party will be held. Decide on the number of guests and develop a guest list. Recruit some extra help for the party day, friend, relative or older child. Make sure the camera's working!